What is the Samurai of Singletrack? For seven years the Samurai of Singletrack threw down the gauntlet to Whistler’s toughest trail warriors. Riders faced a 50km course that criss-crossed the famous valley, with climbs that led into the clouds and descents that took in Whistler’s most technical trails. Big legs and big balls had equal weighting, and while many riders would struggle to survive the descents with eight-inches of travel, the big climbs left most competitors reaching for their trail bikes. Completing the race was a feat in itself, and while the fastest warriors slayed the course in just under six-hours, some competitors were out there for nearly 14. The last Samurai of singletrack was held in 2007, well before the current trend for enduro racing began, but its legend lives on and it remains, perhaps, the toughest ever all-mountain challenge. Sign up to Strava – the ‘social fitness’ site – and see if you can match the time set by ‘the Don’. And if that’s a bit out of reach, Danny’s also dangled a much more attainable carrot for you. Just ride the Hopton descent and record your run using a GPS unit or the Strava App on your iPhone or Android device. Upload the ride to your athlete profile and your run time and ranking will automatically be calculated. We’ve also created an MBR club so you can compare yourself against our team of writers and photographers. 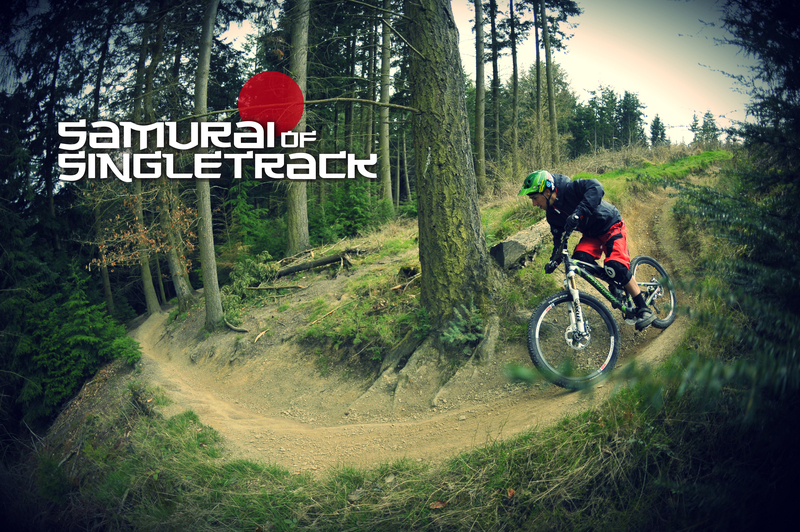 The descent we used for our Samurai challenge is an amalgamation of the red descent and one of the old downhill tracks. On Strava we’ve named it the ‘Hopton Red to Black Full Descent’. It’s a little under a mile in length and drops nearly 600ft in height.